CTMI is a continuing education course specifically tailored to the needs of municipal parks, planning or public works employees who have tree related responsibilities, but do not have a strong background in urban forestry. This training is appropriate for those who manage or contract forestry work, review planting plans, issue permits, or inspect trees. The course focuses heavily on management, rather than the technical aspects of municipal forestry programs. CTMI is one of the most innovative and cost-effective forestry training programs in the Upper Midwest. 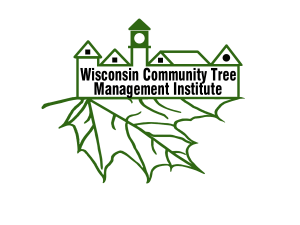 Any local government employee seeking to enhance their management skills, improve the quality of their community, keep their public safe, and reap economic, environmental and social benefits that community trees provide should attend CTMI! There are three, two day CTMI sessions scheduled for 2017–2018. To be accepted into the program, participants must be able to attend all three sessions. Fees include all course materials, meal and lodging costs for all three sessions. Participants are responsible for their own travel costs. For more information please contact your Regional Urban Forestry Coordinator.